At Orange County CyberKnife, we believe that no matter how serious the diagnosis or the outlook, there’s always hope. As a leading cancer treatment center serving the greater Orange County, CA area, we regularly use cutting-edge cancer treatments like CyberKnife to help our patients overcome even the most serious cancerous conditions – including all forms and stages of abdominal cancer. We believe patient education is vital to successful treatment, which is why we’ve compiled some of the most frequently asked questions we hear about abdominal cancer as well as their answers. No matter what type or stage of abdominal cancer you’re facing, OC CyberKnife is here to be a resource for you. We’ve helped countless patients throughout Orange County and the greater Los Angeles, CA community overcome cancer through world-class, noninvasive treatment solutions, and we’d be thrilled to work with you to help you do the same. Contact us today to learn more about how we can help you beat cancer – no matter how serious your situation. Q. What is abdominal cancer? Because there are so many forms of abdominal cancer, the specific outlook and treatment options for each patient will vary greatly based on the specifics of their condition. Q. 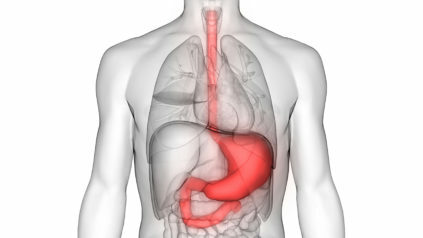 Who develops abdominal cancer? Once again, because abdominal cancer encompasses so many specific conditions, there are a variety of populations that may be at a higher risk for any one of the individual types of abdominal cancer. You can learn more about each of these specific conditions in the “Conditions” tab of our website above. Tobacco & Alcohol Use: Tobacco and alcohol consumption increases the risk of cancer across the board, and in particular for abdominal cancers. Alcohol consumption causes liver cirrhosis (scarring of the liver) which greatly increases the risk for liver cancer, and alcohol can also increase the risk of stomach or colorectal cancer. Tobacco use also increases the risk for a number of forms of abdominal cancers. Diet: In general, people who eat a diet high in salt, fat, starch and low in fiber, fruits, and vegetables, are at an increased risk for developing abdominal cancer. Weight: Obesity is linked to a number of cancerous conditions, including forms of abdominal cancer. Age: Patients over age 50 are at a heightened risk for many forms of abdominal cancer. If you experience any of these symptoms, it’s important to schedule an evaluation by a doctor as soon as possible. The faster abdominal cancer is detected and treated, the greater the likelihood of success. Q. Do I need a second opinion if I'm diagnosed with abdominal cancer? Q. How do I get a second opinion on my cancer diagnosis? Ask Your Regular Doctor: Your primary care doctor knows your specific medical history best, and they can often connect you with a specialist in your specific form of cancer. This may be a surgeon, medical oncologist, radiation oncologist, or any other form of cancer doctor. Call the National Cancer Institute’s Cancer Information Service: Call 800-422-6237 (900-4-CANCER) for information on nearby treatment facilities, cancer centers, and NCI-supported programs to help you get a second opinion and access to the best possible treatment. Seek Out Other Options: In addition to these resources, you can also check with local medical societies, hospitals, medical schools, support groups, or organizations specific to your type of cancer to get help. In addition to these official resources, you can also talk to survivors of your form of cancer to get their recommendations. Call OC CyberKnife: At OC CyberKnife, we regularly provide second opinions for a wide range of cancerous conditions. Call us today at 714.962.7100 for a free phone consultation and to learn more about getting an official second opinion.